1. 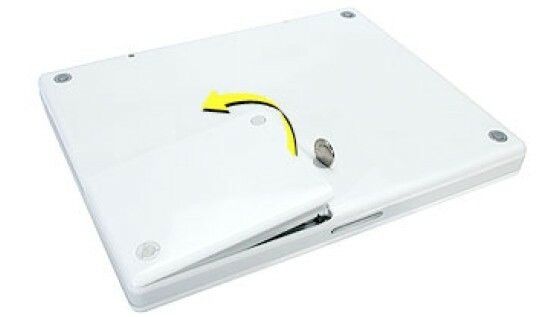 Turn off your Apple iBook G4 and disconnect the power adapter. 2. Remove the battery.Using a flat head screwdriver or a coin such as a nickel, turn the battery lock to the unlock position as shown. Keep the coin or screwdriver in this position, and simultaneously lift out the battery. 3. 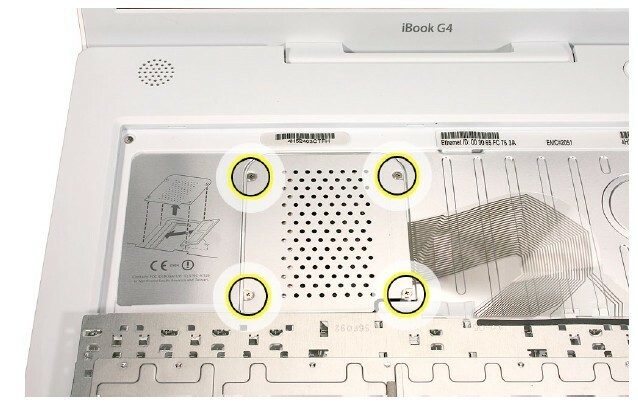 Open your Apple G4 and remove the screw securing the keyboard. 4. 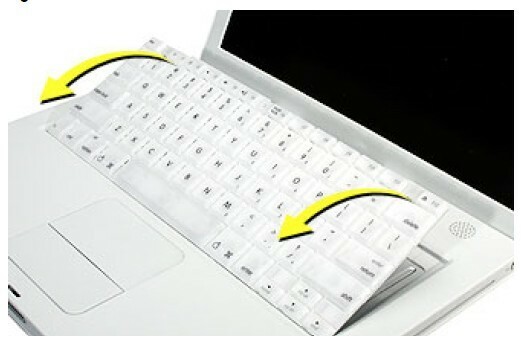 Rotate the Apple G4 keyboard up 90-degrees and lay it on the palm rest. 5. 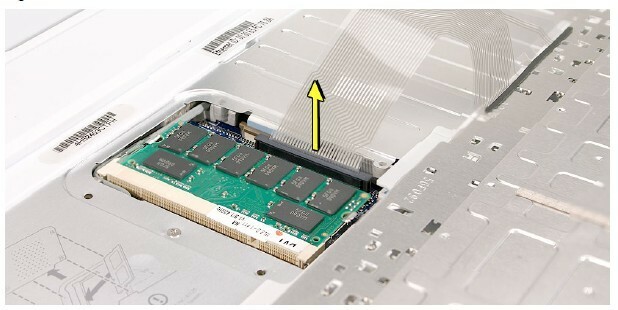 Unscrew the four screws securing the memory module cover. 7. 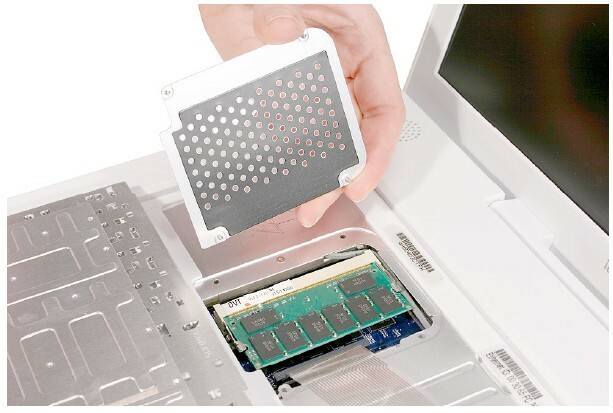 Remove the memory module cover. Now, you can find the connector of keyboard cable. 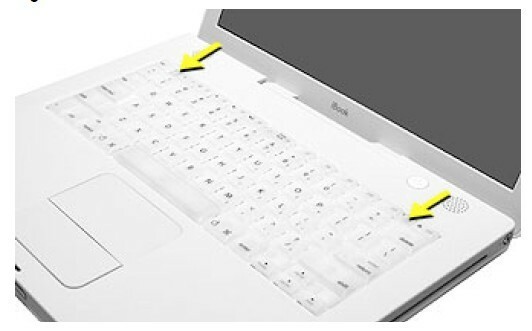 8. uplug it and remove the keyboard. 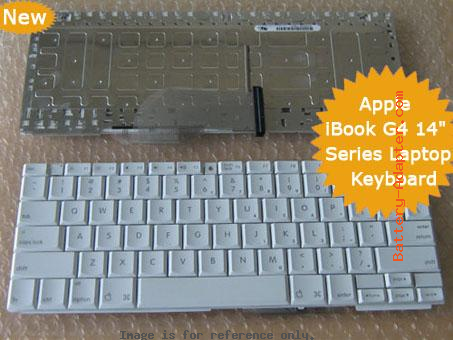 Reverse the procedure to install the new Apple iBook G4 keyboard .